When I went to trial, the military prosecutor told the judge, "Your Honor, Ms. Kelly is in grave need of rehabilitation." But I think it’s our policy that’s in grave need of rehabilitation. We’ve already spent $1 trillion on warfare in Afghanistan and will be spending another $120 billion. The Pentagon wants $57 billion for this year alone. We’re squandering resources that are sorely needed at home and abroad to solve extremely serious problems our world is facing, problems like the climate crisis and global poverty. A good way to show support would be to join the Afghan Peace Volunteers in their duvet project--a project to make warm blankets for people in need. One winter in Kabul, 26 people froze to death in just one month, eight of them children. It was impossible to read those statistics and not think of something to do. So we helped start the duvet project. The Afghan Peace Volunteers invite women from the different tribal ethnicities, 60 in all, to pick up materials, like wool, coverlets, and thread. They go home and sew these very heavy blankets that can make the difference between life and death. Then the youth distribute the duvets to people in the greatest need. I so admire the young people because they act like social workers, going out to find out who are the neediest in their area. And very generous people in the US and the UK have donated the money. Each duvet costs about $17, and it’s now about a $40,000 project that distributes thousands of blankets each year. So people could help out by contributing to this project. 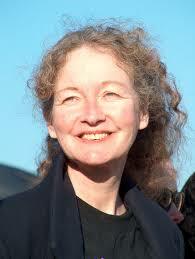 Authors note: Kathy Kelly is one of the treasures of the peace movement. She’s been an inspiration for many, including myself, so let’s show her love and appreciation while she’s in prison by writing to her and supporting her organization.